There is quite a lot of variation among banks when it comes to the issuing of contactless cards, and unfortunately our bank is one of those which is lagging behind and we've yet to be offered one. Many other banks are much more forward thinking, and TSB in particular have seized the opportunity for their customers to embrace the technology. 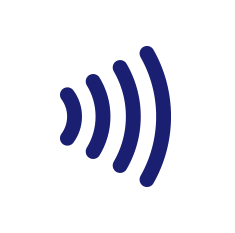 Last summer TSB bank announced that all their eligible debit card customers had been issued with new cards with contactless functionality, which has led to a huge surge in customers making use of the facility. The average contactless payment is between £6 and £7. I'm starting to feel as though we are really missing out. One area in particular where contactless payment would really benefit us is when paying for our travel when we visit London. You can use a contactless payment card to travel by tube, tram, bus, DLR, London Overground and most National Rail services in London, and it would be so much easier than having to remember to top up our Oyster cards in advance, and remembering to keep an eye on our remaining balance. Contactless payment is quick and easy, the whole transaction is faster and you don't need to worry about carrying the correct change. Because the functionality is available on an existing card, you don't need an extra one. You can only make small purchases though because no PIN or signature is required. The idea might sound risky, but in reality the chance of fraud is low because there are a number of security measures in place. The card can only be used a certain number of times consecutively before it is required to enter a PIN, and your PIN will also be required if more than £40-£50 is spent on the card within a certain time frame. Use of the contactless feature is completely optional, as the card can also be used in the usual way with chip and PIN. Having read all about the benefits, I'm thinking that we need to badger our bank to send us one! Do you have a contactless card? I'd love to hear your experiences!